Named for blossoms that resemble a monkey's face sticking out its tongue, the monkey flower is one of the most colorful wildflowers. This genus once contained more than 100 species. 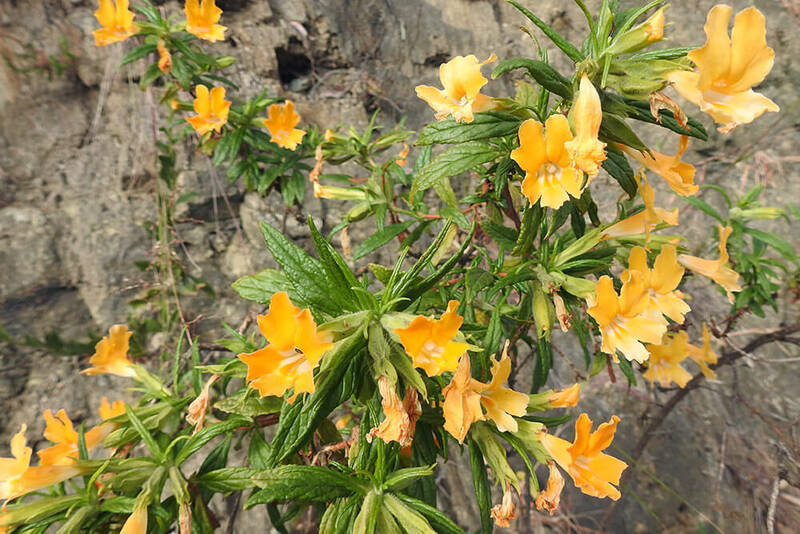 However, based on DNA studies, botanists restructured the group in 2012; today there are just seven species in the Mimulus genus, found in North America, Australia, Madagascar, Africa, and a handful of South Asian countries. 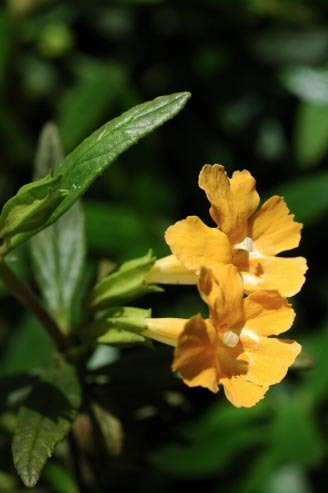 Monkey flower is a shrubby plant, reaching 2 to 3 feet (.6 to .9 meters) tall and wide. Pairs of sticky leaves sprout along unbranched stems that arch gracefully. The 1.5-inch (3.8-centimeter) blossoms can range in color from white, yellow, and peach to rose, scarlet, and mahogany—some are streaked with more than one color. Flowers open in a sequence, starting with the lowest positioned and moving up the stems. The plant blooms for a long period—from spring into summer. Mimulus are a colorful addition to the garden. Hummingbirds are drawn to the nectar, while ground squirrels, deer, and rabbits tend to leave them alone. 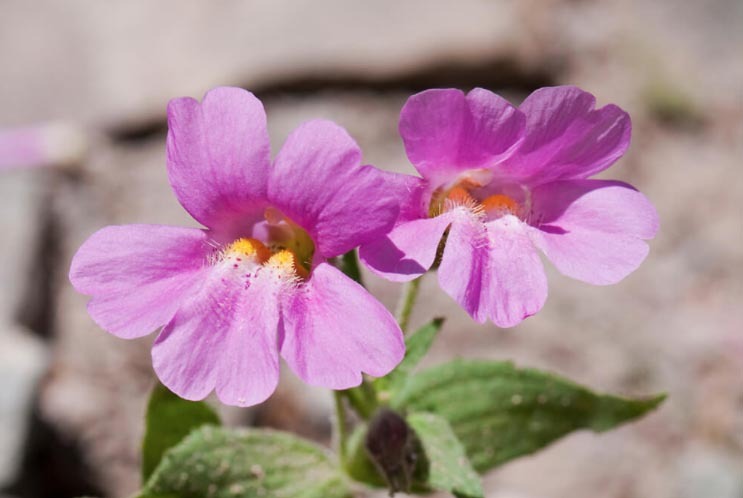 Monkey flower tolerates sun and partial shade, and are as striking in a pot as they are when planted in a drift, or large grouping. In mild climates, plants that are cut back after blooming in early June will reward the gardener with another wave of blossoms later in the summer. The genus name Mimulusis an old Latin term for a comic actor. Monkey flowers are related to snapdragons. Scarlet-hued monkey flowers are a special boon to hummingbirds; bees generally avoid red flowers, so the thirsty hummers don't have to share the nectar.